Being in the real estate industry is no walk in the park — it requires serious determination to be able to win clients. It’s a career that involves trials and errors, and win-lose situations. Time, effort, and humility are usually demonstrated while they are advertising their units. 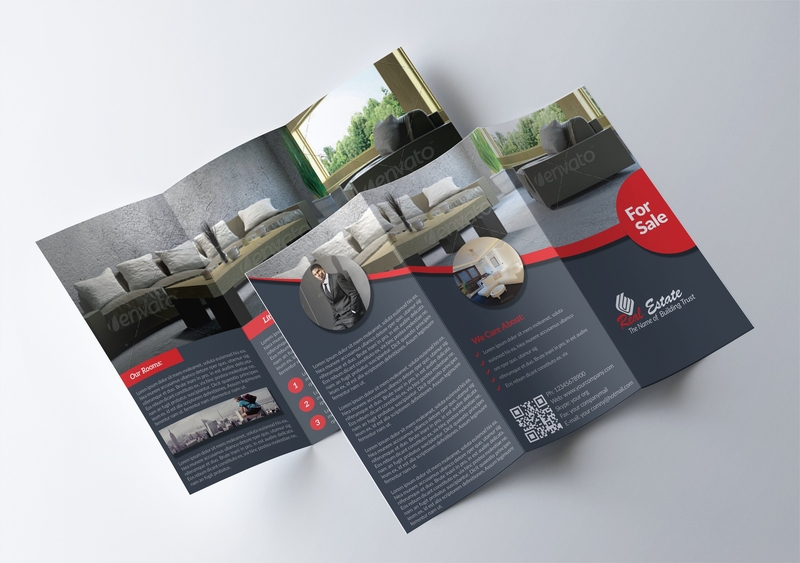 If you are a real estate agent and are looking for brochures that you can use, then you don’t have to look anywhere else, and we even have real estate brochures PSD for those who prefer to use Adobe Photoshop. 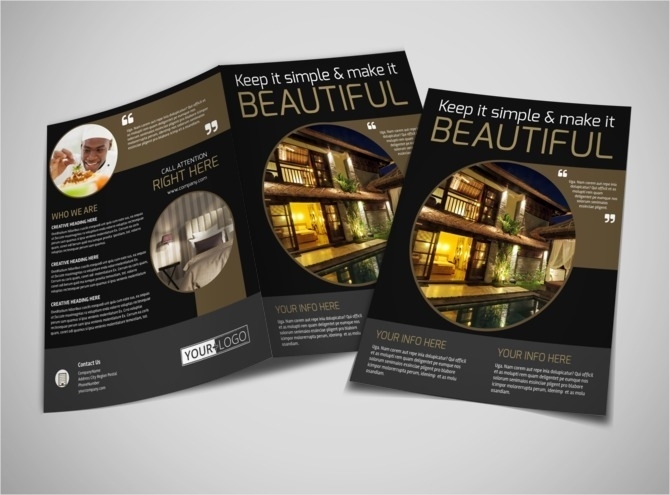 Our brochures range from bi-folds to tri-folds, and anybody practicing the career may be able to use these templates. We also have a collection of illustration brochures for those who are leaning more on the creative side, but you can still opt to go for the simple ones with a lot of white space. The choice is up to you, so feel free to look around. 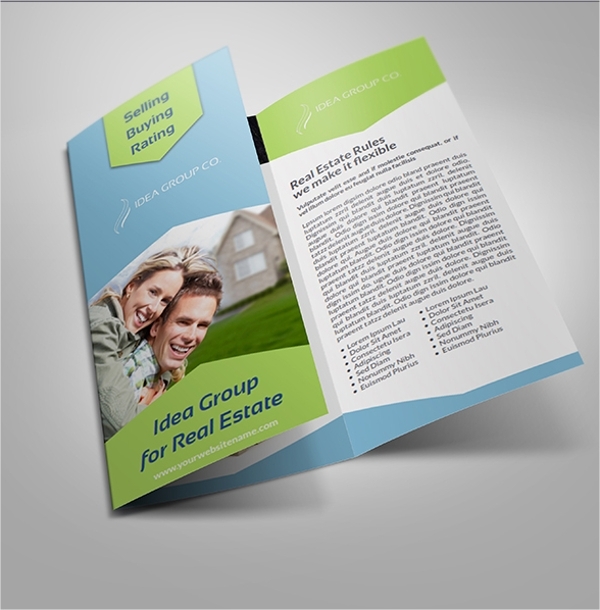 What Are Real Estate Brochures? 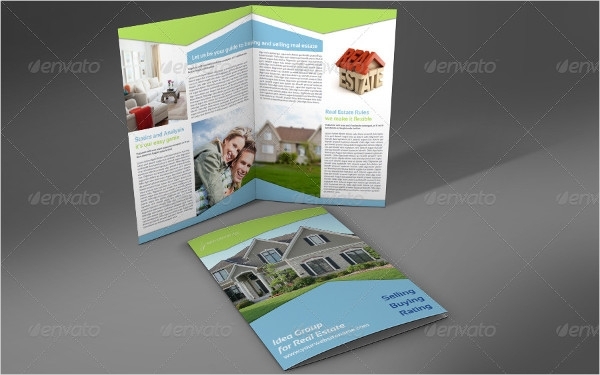 A brochure is an advertising document that businesses use to promote products, services, or the company or organization itself as a whole. It provides the reader with valuable information, a list of benefits, and a call to action to persuade them to avail of what is being advertised. 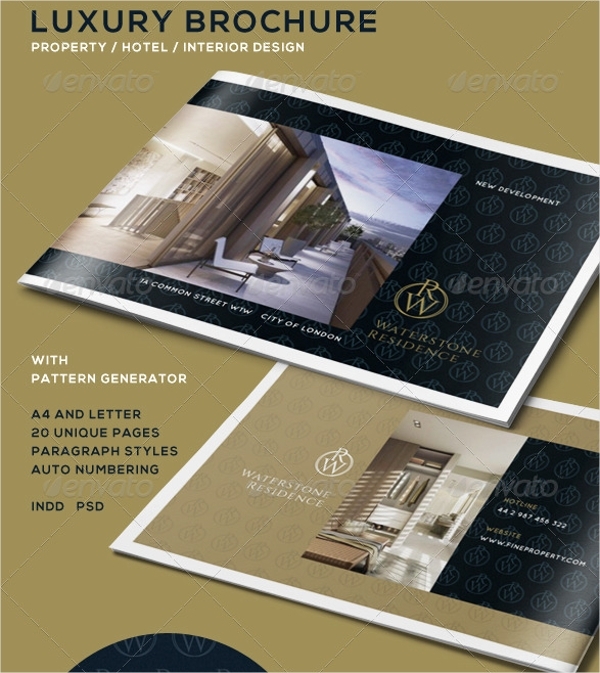 Real estate brochures, on the other hand, are those that are being used by real estate agents who sell houses, buildings, units, or any kind of residential or commercial property. 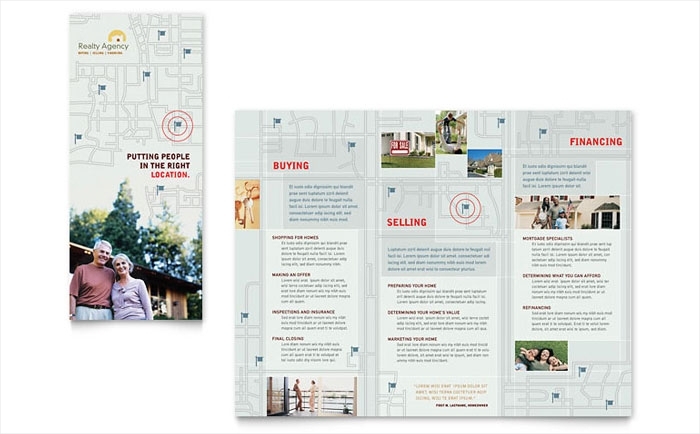 These brochures work just the same as marketing brochures but focus more on properties rather than other items, or physical well-being as advertised by fitness brochure templates. 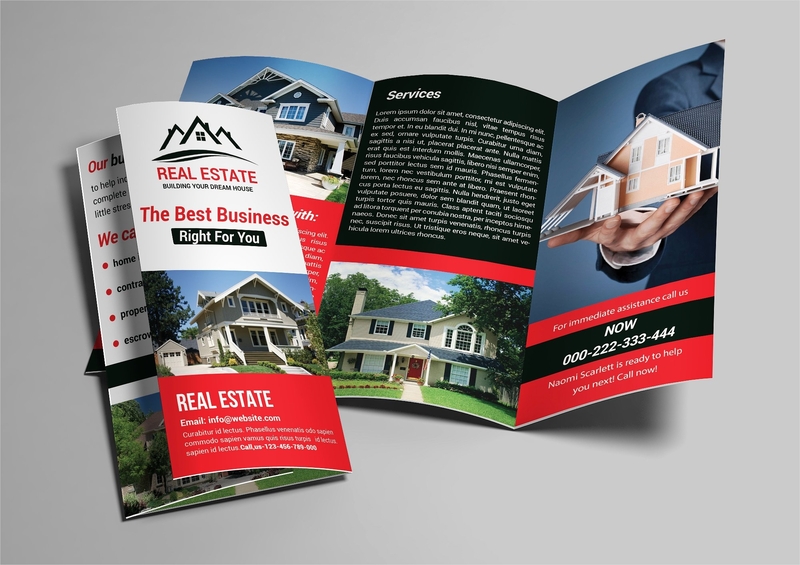 Compared to advertising through the television or even the newspaper, brochures are inexpensive while still effective, which are appropriate for businesses that are on a tight budget. 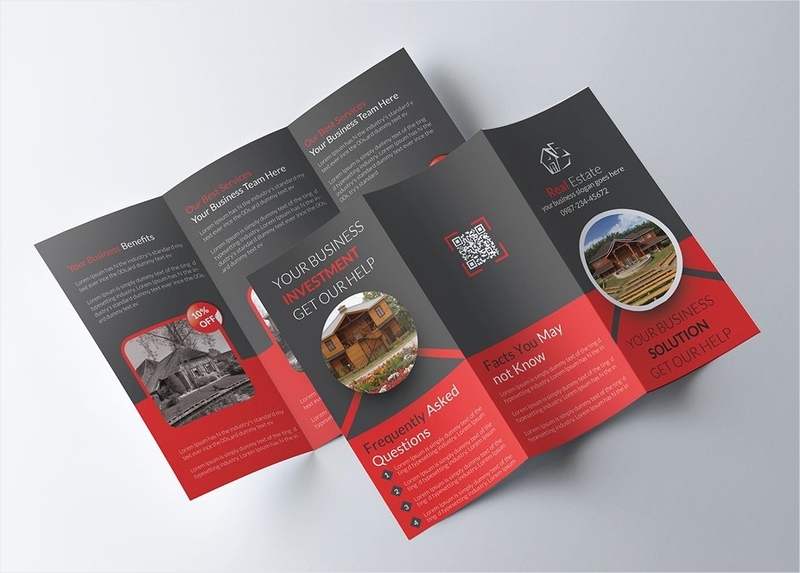 Brochures that are well-made and catchy have been proven to be more effective in attracting the public’s attention than those that are emailed and are simply displayed on the screen. 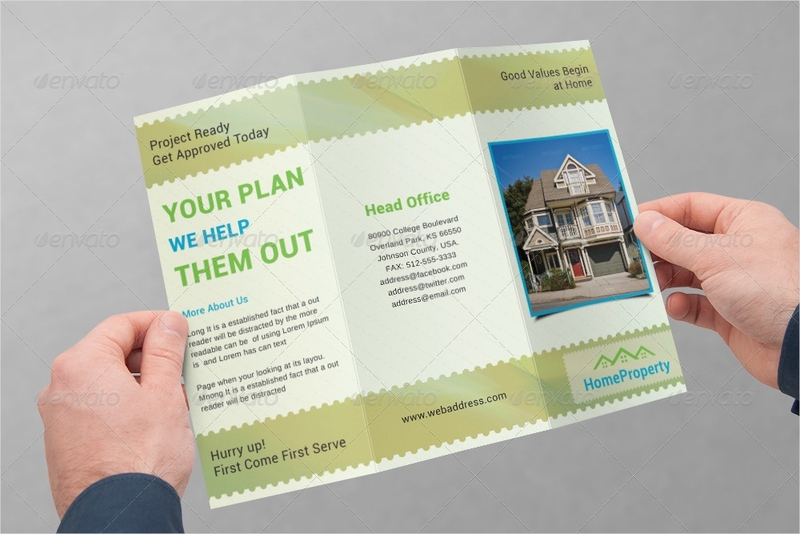 There are many ways to distribute brochures: you may distribute it manually to passersby, you may stick it inside the pages of newspapers, or you may simply leave it on tabletops or counters. 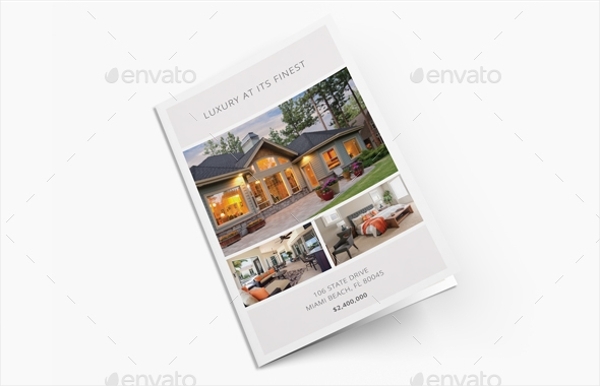 How To Make Real Estate Brochures? 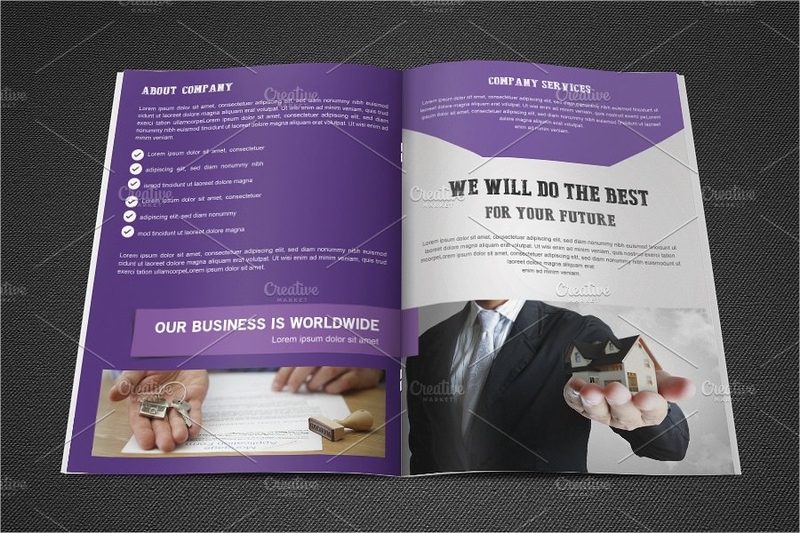 Since we already know the purpose behind these brochures, the next thing that you should decide on is the type of brochure that you will be using. Decide whether you want to use bi-folds or tri-fold brochures, depending on the amount of information that you will be providing. Browse through our website and look for the brochure template that works best for you. Once you have found the perfect template, download it to your system by clicking on the download button near the template’s thumbnail. 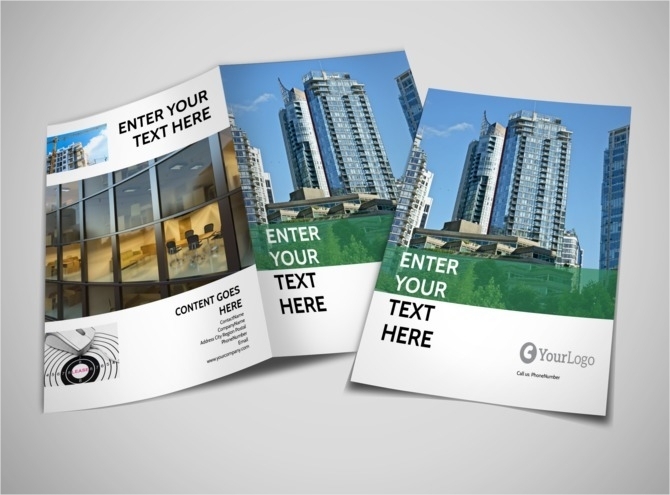 Open your downloaded brochure template on a photo editing software of your choice (we recommend you use Adobe Photoshop for high compatibility). Add images of the units or properties that you are trying to sell. Make sure to include both the exterior and interior aspects and use high resolution pictures. Write down the most impressive details and features about the properties. Also, write down some information about your company’s background and reputation. If available, include a few testimonials and feedback from previous clients. 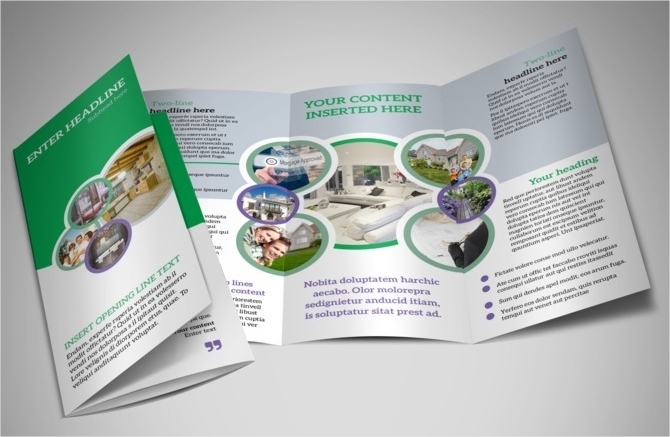 If you wish to have your brochures printed out yourself, make sure to use high quality paper or card stock, and set your printer’s settings to print in the highest quality possible. 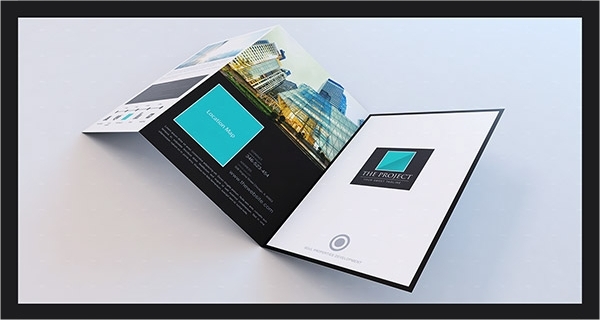 But to save you the hassle, you can always send your brochure design to a printing company and have them take care of it. 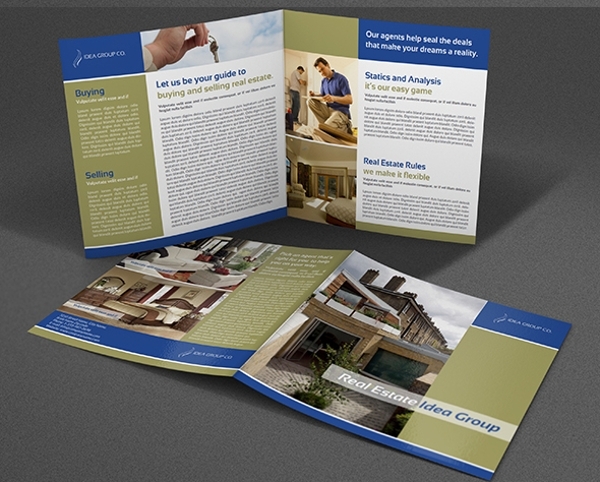 Bi-fold or half-fold brochures. This is the most commonly used type of brochure. This type is used to present simple units with only a few details to provide. 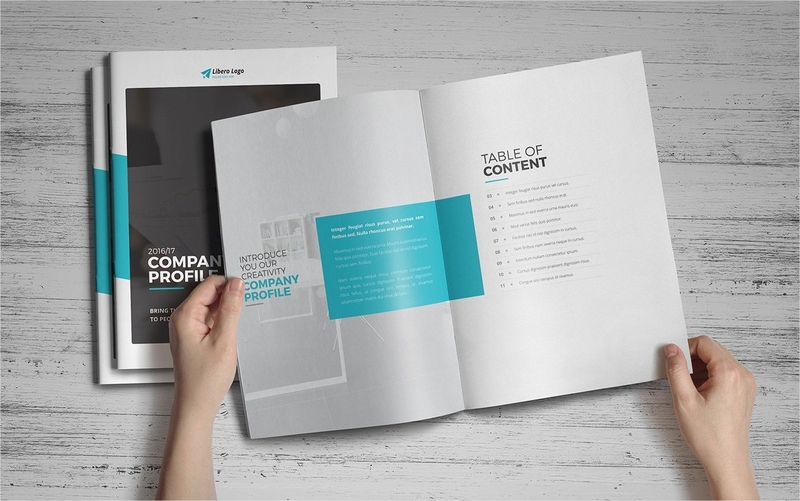 This type only has a front page for the headline, then two inner pages for the information and details about the unit, and a back page for some concluding statements and a call to action. Classic tri-fold brochures. Brochures that have three folds and are used to hold more types of information than bi-folds. 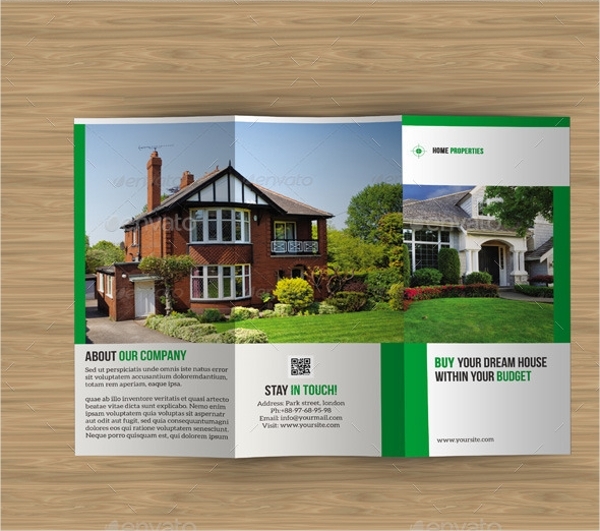 This type of brochure usually has information that are written in bullet points which makes it easier to read. Single gate tri-fold. 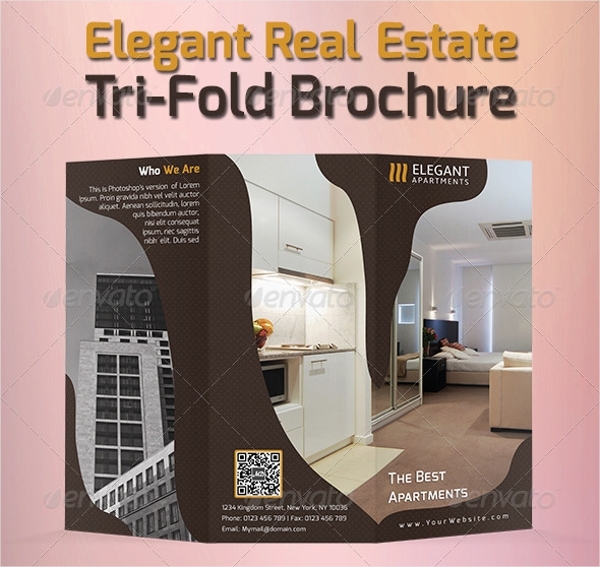 A variation of the tri-fold brochure wherein both sides are folded inwards like a gate, thus the name. These are used for brochures with large pictures on the inside portion to show the beautiful features of the unit at its best. 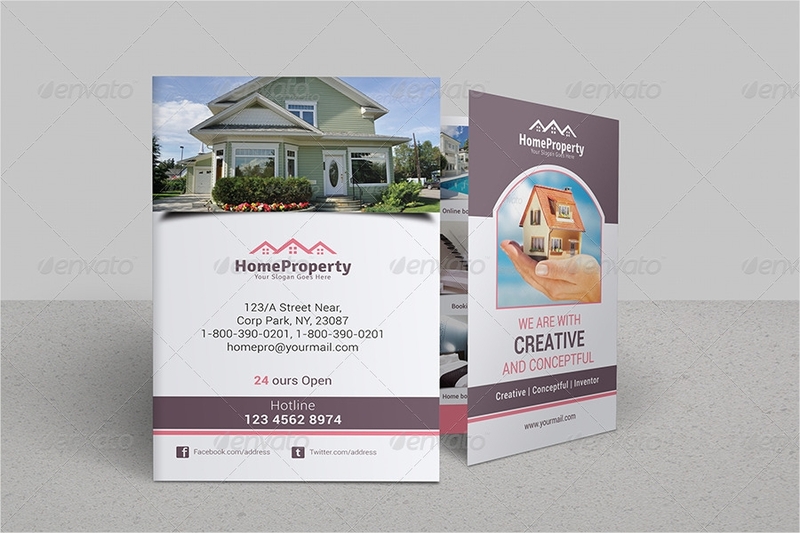 Though this section talks about the folds that can be used for real estate brochures, it can also be used on museum brochures, business company brochures, and other kinds of brochures. When writing the details on your brochure, put yourself in your prospect’s shoes and ask yourself why you would be interested on the units or properties being advertised. Make it as easy to read as possible. Use bullet points and organize the contents well because no one would want to read a cluttered and difficult to read material. 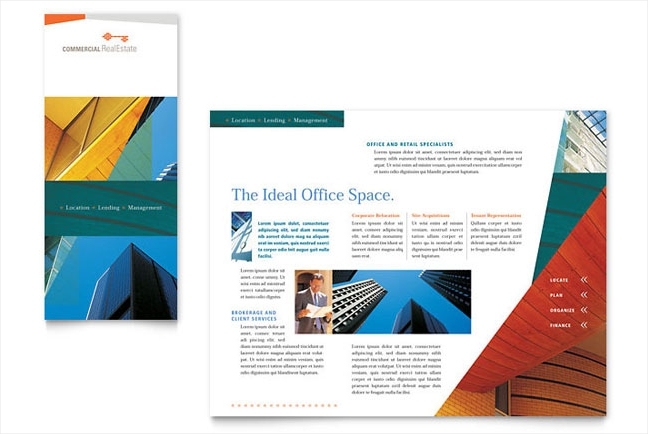 Design the cover page well so that it can effectively get the public’s attention at first glance. Include a call to action and your contact details to make it convenient for the prospect to reach out to you. Never forget to proofread before you start printing.